With the recent release of the Coruscant Back Alleys Skirmish Map, the Star Wars™: Imperial Assault Tournament Rules (pdf, 227.7 KB) were updated to incorporate the alleys' narrow corridors and neon wash into the upcoming map rotation for all Organized Play events—including the upcoming World Championship at AdeptiCon! 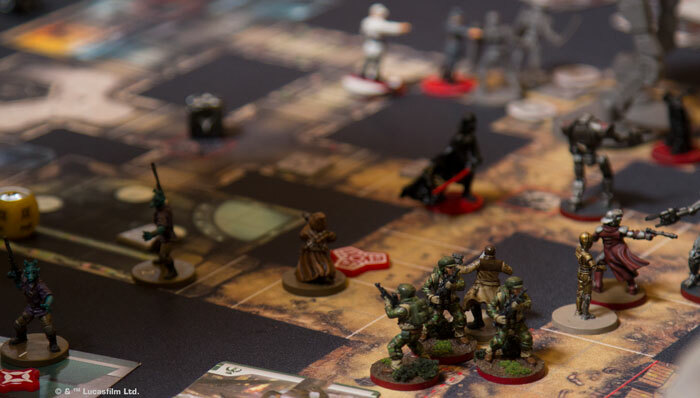 Since every Imperial Assault skirmish is a tense, fast-paced duel to 40 victory points, in which characters often start meeting their demise as early as the end of the first round, you want to sit down to the table with a clear plan of how you'll beat your opponent to those 40 points. Who will dash to the nearest terminal to help you draw more command cards? How many points will you try to win from the scenario's objectives? Where will you need to send your units to gain those points? How will pursuing the objectives place your forces in danger? How can you turn the tables on your opponent and lure his or her forces into your deadliest attacks? These are the types of questions that three-time World Champion Daniel Taylor argued can easily shape the course of a whole game—even before it gets started—and they're questions with answers that vary from map to map. 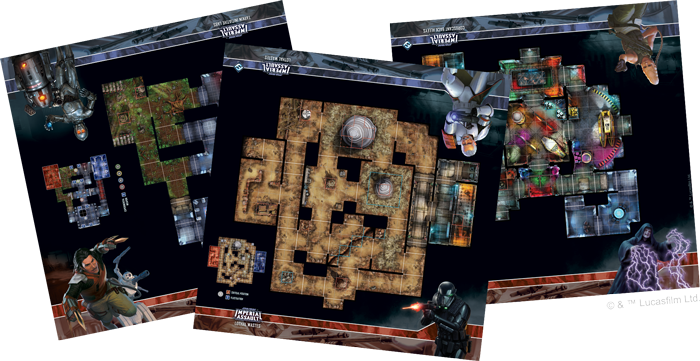 So if you're headed to the 2019 Star Wars: Imperial Assault World Championship, now is the time to start practicing on the World Championship maps. And if you're not headed to the World Championship, now's your chance to explore the challenges those players will face. How would you fight your way out of the corners in which they'll soon find themselves? The updated Imperial Assault Tournament Rules are available for download. The battlefields have recently changed—and with each change, the challenges of battle change. The solutions? Those are up to you.